Last month saw W London kick-off their latest Dining Series with a trip down memory lane. Step forward Ben Murphy, one of the UK’s most ground-breaking young talents. 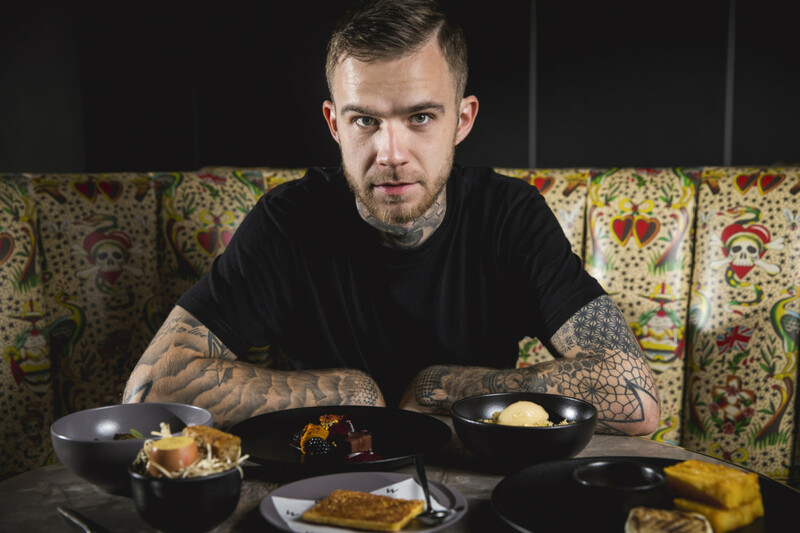 The 27 year-old head chef of Kensington’s Launceston Place has taken up a residency at the hotel’s bar and lounge, The Perception until the end of February 2019. My guest and I arrived ready to be taken on an exciting journey through Ben’s childhood memories, where each of the seven courses have been uniquely designed to please palates. When people think of seven-course tasting experiences there’s quite often an overly-formal connotation attached to it. Not Ben’s. 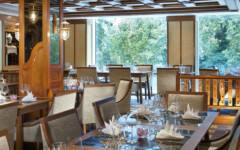 His bold and imaginative tasting experience is playful as he presents a collection of his personal and professional culinary souvenirs. 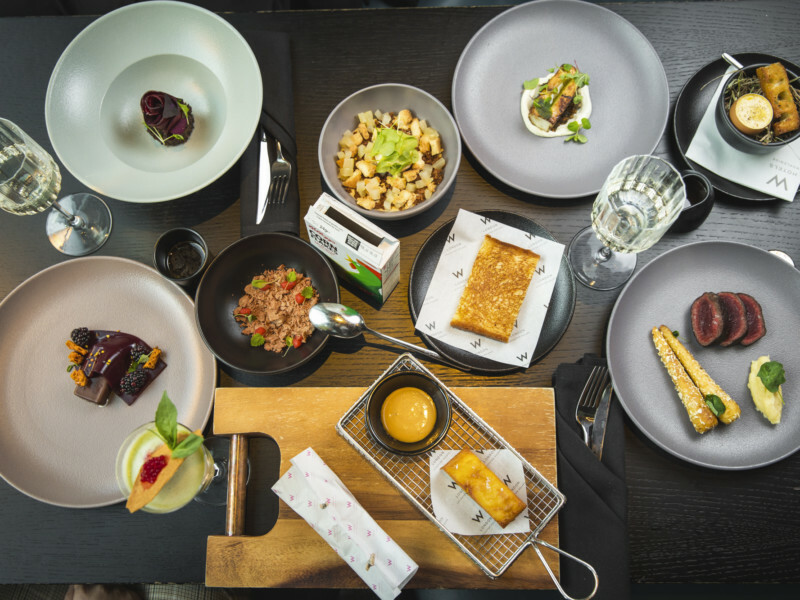 The dishes are packed with explosive flavours, unconventional textures and Instagram-worthy plating. 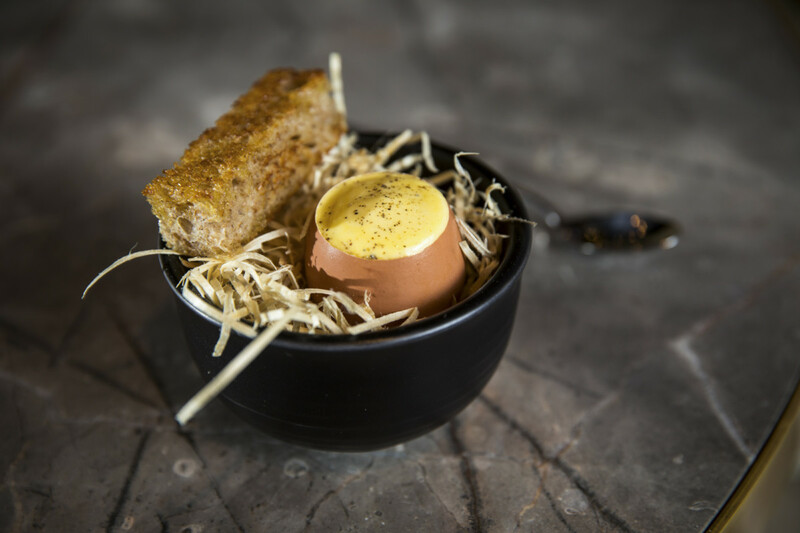 We began with the amuse-bouche – egg n soldiers; a foie gras royale and a creamy scrambled egg mousse, it’s delicious and moreish and an homage to one of Ben’s favourite go-to dishes. 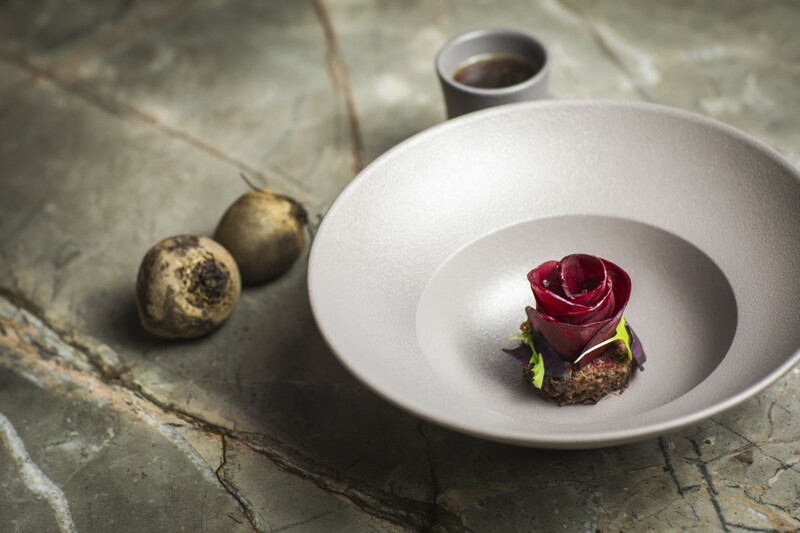 This is followed by the chicken liver parfait with blood orange – a nod to one of Ben’s grandad’s favourite ingredients – and crispy chicken skin granola served in a bowl to be eaten like cereal. I’d consider this the real curveball of the seven courses. It’s probably the boldest, certainly the richest and is a real creative confusion of textures, flavours and temperatures. Next is the pickled beetroot served with a hearty braised oxtail and lemon thyme consommé, inspired by his memories of eating oxtail soup in bed when under the weather. I’d say this was my favourite dish; wonderful flavour, the beetroot and oxtail combine surprisngly brilliantly. Then on to a polished version of a British favourite, fish and chips, using charred hake, Jerusalem artichoke, a vanilla reduction and heavenly Pont Neuf potatoes. This was made as Ben learnt in Paris. 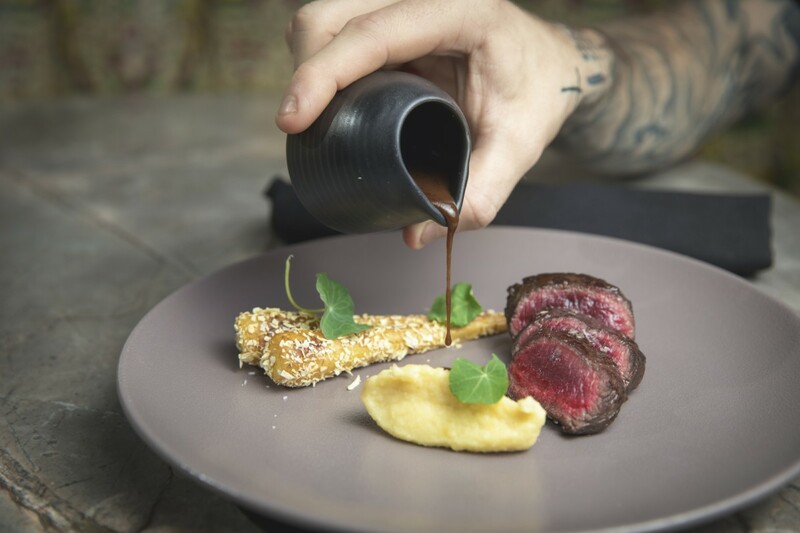 Next was a saddle of tender venison served with spiced pine and roasted parsnips – another brilliantly executed dish that impressed all round. Dessert-lovers can also expect a trip down memory lane with Ben’s pear served with timur and a hazelnut crumb, in homage to Nana Murphy’s infamous pear crumble, before finishing with his retro choc ice, served with a honey and milk mousse and blackberry gel. 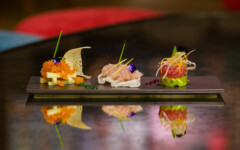 Ben’s seven-course tasting experience will be available every day from 5pm to 11pm at £49 per person, until February. 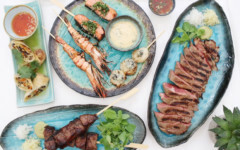 The Perception will also be plating up a smaller version of the menu for theatre goers during the festive period, where diners can enjoy two courses from £17.50 between 5-7pm daily.